Everyone needs to let some steam off and what’s the better way to do it rather than going on a vacation. Doctor Love on Vacation is NextGen’s take on taking a break and it is far from disappointing. With Doctor love on a Hawaii beach with fun elements like martinis and surf boards, there is very little left to spice up this vacation. Rather than paying money to the doctor, this time it’s he who returns the favour with really great returns and awesome features. This slot game can get you upbeat and lively even in the most dullest of days since NextGen has done a great job in incorporating the audio and visuals to work well in tandem and provide an exciting gameplay. 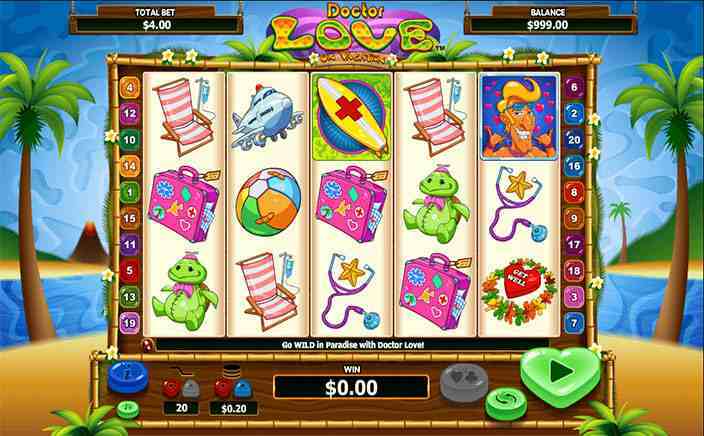 Doctor Love on Vacation is a typical 5 reel and 20 paylines game. The number of paylines in the game cannot be adjusted but the bet ranges per payline is flexible and ranges between just 1p to £ 2. This makes the game playable between 20p and £ 40 making the game apt for mid range and low budget players. But high rollers can also take a few spins though there are better rewarding and higher risk involving games. Doctor Love on Vacation has some really great features and can be pretty rewarding considering the fact that the stake limits are rather narrow. The game has a wild and free spins bonus game and also has some hidden multiplier benefits. Doctor love is the wild card in the game, and this wild is not any ordinary symbol substituting wild. The doctor cannot substitute for scatters, and he more than makes up for this defect by giving a 2x multiplier to your wins if he is a part of the combination. The scatter symbol is the surfboard and it certainly does take you through the sea of riches. Getting 3 scatter symbols gives you 12 free spins, while 4 and 5 scatter symbols gives you 16 and 20 free spins. All the wins that you do get out of this bonus round is subject to a 3x multiplier. The game also features a 5000 coin jackpot that can get you up to £10,000 when played for maximum stakes. 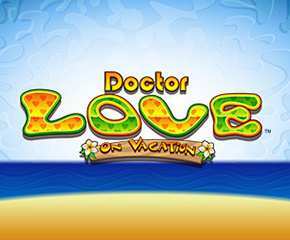 Doctor Love on Vacation is a fun slot game from NextGen gaming and certainly does justice to the spirit of vacation. The game has an RTP of 95.4% and this is pretty good considering the fact that the game has low max stake values. There is nothing that beats a rewarding vacation that can get you richer than before you took it, and this game is certainly an illustration of it.